An effective, safe and chemical-free sunblock using plant extracts. Many sunscreens are both ineffective and dangerous. A detailed evaluation of over 1,400 sunscreens recently made by the EWG resulted in less than 3% being rated both safe and effective. sunumbra is proudly South African! Everyone dreams of healthy flawless skin. glōminerals has managed to make our dreams come true. This product line was initially created for professionals and their clients to be used after having undergone paramedical skin care treatments. glōminerals is infused with anti-oxidants and has anti-inflammatory properties. The glōminerals pharmaceutical grade cosmetics comes in an array of colours and are all talc-free. This beautiful range also boasts natural UV filters and are suitable for all skin types and conditions. For naturally glowing skin you don’t only see, but feel too. We have you covered from head to toe in wholesomely natural goodness. Skin nurturing make-up with a higher purpose. Talc-free and pure Glominerals is ideal to soothe and protect skin post treatment, with green tea, vitamins A, C and E, zinc oxide and titanium dioxide. In addition, the formulations are non-comedogenic so they won’t compromise or exacerbate sensitive skin conditions. 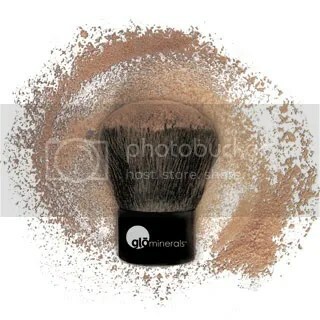 Glominerals natural high-pigment minerals deliver a flawless complexion while improving the health and appearance of the skin, protecting it from the outside-in. Glominerals is also photo-ready and has a wide range of colours and products which makes it a favourite amongst make-up artists. Our richly-pigmented colour cosmetics are infused with antioxidants and nutrients and are gentle enough for even the most sensitive skin types. For the last decade Carina was in the forefront of the fast moving beauty industry, local as well as international. With her passion for Africa Carina was inspired to create a range of world-class Spa products that was shaped to capturing the unique characteristics of the Kalahari Desert. “It was important for me to merge the complete experience of the desert including the colours of the earth, raw textures and rare fragrances, in this signature range of products”. “My focus was on making the Kalahari Spa experience an intimate journey by bringing the ancient secrets of the desert to the client through touch, sound, visual interaction and smell. The expectation of the modern clients has changed and we have designed the ultimate treatment experience satisfying every individual need by uniquely customizing each and every treatment. Each product is bespoke for and perfected in simplicity by focusing on the pure earthly goodness of God’s given treasures. Carina and her team strived for perfection and every product contains a bouquet of pure natural plant oils making each product harmonious with nature by enhancing the true value of the desert and the plants of the Kalahari. We pushed the eco boundaries with regards to the use of naturally harvested botanical ingredients and we were sensitive towards the deserts vulnerable ecosystems. We insist on using reputable phytotrade organisations and certified sustainable sources. All our packaging is 100% recyclable and the paper we utilise is recycled! All these merits contribute to making Kalahari Spa a pioneering range and the first to capture the true meaning of Africa in thisextraordinary manner. The Kalahari Desert is filled with unexpected treasures of various plants, bulbs and roots. 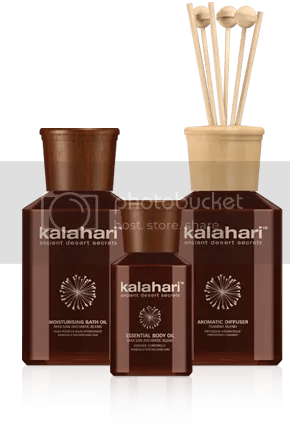 Kalahari Spa has identified a variety of sustainable indigenous plants and natural resources that are used in this unique range – Kalahari Melon Seed Oil, Kalahari Melon Extract, Pure Kalahari Desert Mineral Salt Crystals, Natural Red Dune Sand, Resurrection Plant Extract, Hematite Stone Extract, Marula Oil, Baobab Oil and Mafura Butter are some of the ingredients used. The entire product range is based on these natural ingredients. Dedicated to the spa tradition, SpaRitual is committed to creating eco-friendly products and packaging perfectly crafted for the enlightened consumer. We use Vegan ingredients from around the world, including many specially sourced and selected plant essences that are wildcrafted OR certified organic. The formulations are naturally coloured and free of synthetic dyes. In addition, SpaRitual offers Nail Elixirs and Nail Lacquers, which are also vegan and free of toluene, formaldehyde, formaldehyde resin and DBP. SpaRitual is constantly monitoring sustainability issues and strives to be on the cutting edge of environmental awareness. Enlighten yourself. Be a SpaRitualist. Because we all deserve to live the good life.